Startup founders know that going from zero to one means not only making mistakes, but also asking for help. Unfortunately, in Japan asking for help has traditionally been seen as a sign of weakness. In both professional and personal life you are expected to be either a confident leader or an obedient follower. Such attitudes tend to crush innovation and entrepreneurship. 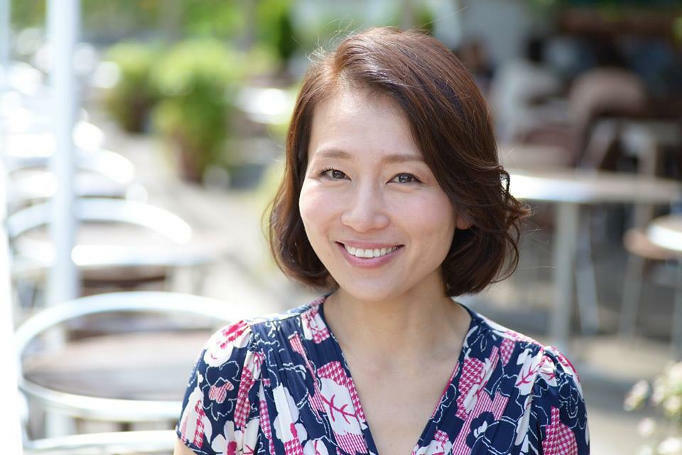 One startup founder thinks she has figured out how to bypass this social stigma via spot consulting, and Eiko’s not the only one who thinks she’s onto something. 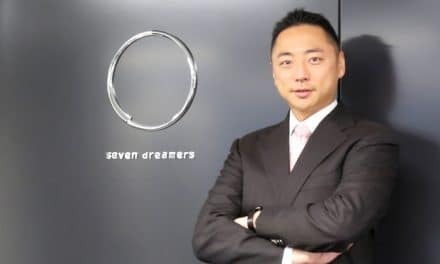 Her customer’s include some of the most conservative companies in Japan and her backers include the Japanese government. 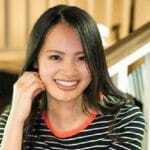 We also talk about Eiko’s transitions from housewife, to single mom, to MBA, to startup founder and her personal approach to taking risks and standing out from the crowd. 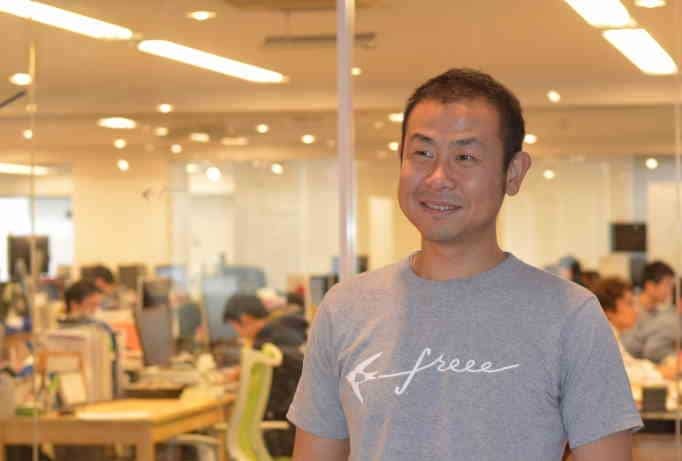 Welcome to Disrupting Japan straight talk from Japan successful entrepreneurs. I am Tim Romero and thanks for listening. Today, we get a chance to sit down and talk with Eiko Hashiba of Visasq. Visasq is a Spot Consulting or a Micro Consulting Platform that matches up companies that need very specific questions answered with individuals that have that particular knowledge or set of skills. There are a few companies that do this in the west. But, here in Japan in addition to the Chicken and Egg problem that faces all new multisided markets hoping to match buyer and seller Spot Consulting faces two unique Japanese hurdles. 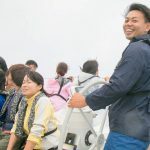 First, asking for advice has traditionally been seen as a sign of weakness in Japan, both personally and professionally. You are expected to be a confident and fearless leader or an obedient and loyal follower. With not a lot of room for much else, and as you might imagine this is not really the ideal atmosphere to foster innovation. The other problem, is that the experts the would-be consultants don’t generally make themselves known here. Resumes are considered highly confidential documents, and speaking with outsiders about your expertise is something to be cautiously considered at best. And, viewed as a form of betrayal to your company at worst. Eiko explains how she tackled both of these problems head on. And, also talks about her journey from housewife to single mom to MBA to entrepreneur. She is one of those rare individuals who is letting nothing stand in the way of her vision. And, I think we will learn a lot from her. Tim: Thanks for sitting down with me. I am sitting here with Eiko Hashiba Visasq. Well, before we get too far into this I want you to introduce your company and tell us about it. And, from what I understand it is a crowd sourced Spot Consulting Program. But, that is quite interesting. I haven’t run across that very often, so maybe you can explain it in a little more detail. Eiko: Okay. It’s an expanded work service. Eiko: Which because I use to work for private ADD Fund, where we used this kind of expanded work service. Where we can meet people who know the insides of industry, inside of the business. Tim: So, is this something like Gerson-Lehrman? Eiko: We call it spot consulting. It’s for primary research. We want to access people who primary information the insights the deep understanding when we want to do business, when we want to invest in some area. When we want to create you know innovation. Those kind of things. Tim: Okay. Tell me a bit about your customers. Who are the main customers using this? Eiko: We have three domains of the customer. One is a big company who do research for the new business department. And, another thing when this professional firm such is consulting firm. And, the last one is individuals. If we want to create new business, like us. Tim: Well, that’s quite a range of different users. So, for example a typical big company contract. Are they looking for information on market research? What would a typical contract look like? Eiko: Yes, our main customer is industry maker who have technology, but of who are not sure in which area this technology can be applied. They think okay this technology can be applied to . But, because they are company. So, they want to know about preparations. They want to know about the customers. They want to know about if we are going to be their competitors. Tim: So, it’s like very broad research and advice then? Tim: Very early stage. Okay. Eiko: Yes. Very early stage. Before us, in Japan maybe the only way to reach information is to read books. Eiko: Or, to ask friends of friends of friends who worked in that industry. Tim: Okay. But, now we have Google. Eiko: Yes. That’s true, but to dig right down for that official company paper research this information I Google it. Eiko: Can they do that? Tim: No, I don’t think they do that. No. Eiko: No, they don’t do that. And, the people okay I got this information from somebody who knows really well about this industry. Tim: From a verified source. Eiko: Yes. From yes, that’s true. Tim: Okay. So, you had a natural connections and resources on the customer basing side. Tim: But, one of the biggest challenges for anyone putting together a multisided market. Tim: It’s kind of Chicken and the Egg situation. Eiko: Yeah, that’s true, that’s true. Tim: So, how did you get your experts? How did you collect the people with those expertise? Eiko: Actually, we had a very tough time for the first year, because for Japanese people they don’t like to put their resume on LinkedIn. They don’t want to open up their information on website. We don’t change our careers often. Tim: Your resume is considered very private information in Japan. Eiko: Yes. That’s true, that’s true. Tim: In fact, it is covered specifically by the Personal Data Protection Act. Eiko: Because we feel it’s very risky to put it open. That was our first challenge. But, now we have focused on okay we are not the site for career change. We want to offer you new opportunity to use your knowledge to use your career. Not changing your job. Tim: So, a side job. Eiko: A little bit extra money, or a little bit extra experience. Eiko: Career experience. Because to change career it is very big change, right. Eiko: But, many people, most of the people want to challenge if there is not big risk to qualify for a new job, for a new task, for a new challenge. Tim: So, it is a safe way to take a new challenge? Tim: Okay. You are not putting your job at risk. Tim: But, I would imagine especially if you are looking for experienced experts you are looking at a lot of people who are kind of mid-career. Tim: Who are working a traditional Japanese companies. Tim: Now, with a new idea like this. I am sure that most of them didn’t understand it, and it must have been kind of hard to convince people at first. Eiko: That’s true. But, the first organization who thought we were going to be a good service is actually Japanese Government. Eiko: Yes. We got money from METI and thanks to the money our engineers became full-time engineers. Tim: Okay. And, with METI’s backing that must have helped some of your experts feel more reassured that you are a real company. Eiko: The government wanted to support new business, new service which can promote people who can maximize their potential. Eiko: Their career potential. Because we will now change the people’s mind. They don’t have to change their careers. But, because their knowledge, their insight is very good and somebody needs it, please use it. Tim: That makes sense. One thing that has been interesting in Japan for a long time now, Western Style Consulting. Tim: Has never been very popular in Japan. Tim: It has always been seen as almost a sign of weakness. Tim: That you need to go outside the company. Tim: And, ask for help. Is this something that is changing now? Or, do you still see that? Eiko: I think it is very changing. I don’t think it is because of it’s kind of shame to get help from outsiders. I feel that one of the things is it was very expensive. And, one of the things is we think the real experience is more valuable than hypothetical experience. Tim: Oh, there is not doubt that it more valuable. Tim: The question was always getting people to accept it. Tim: Do you think because it is more targeted, it’s less expensive that Japanese business is more open to doing this kind of consulting? Eiko: Yes, I think so. Because not many of the Japanese companies got so much pressures to create new business. Because population is shrinking. Eiko: And, competition with global competitors is getting tough and tough and tough. We have to make a new business. We have to make a new you know opportunity. And, in the company there are no new. You know, because whenever you want to try new things. Eiko: You have to get new information. Tim: So, this is a way of getting new ideas into these bigger companies? Eiko: Yes, yes, yes. They have ideas in the company. Eiko: But, they need advice to make it real, or to make it real with more potential, bigger potentials. Tim: So, it is a lot of sort of what do we do next? Tim: What’s the next step here? Eiko: That’s true, that’s true. What is their next step? What kind of things? They have to be careful. Tim: You know, I can see why that would make sense. You have tapped into a niche where large Japanese companies are freely admitting they don’t know how to solve these problems. The government is saying that we need to look to smaller companies to help foster innovation. Tim: Okay. That makes a lot more sense to me why this is aligned so well. Eiko: Thank you, thank you. We have to make it more real. Faster and faster for the decision making process. Tim: I mean this is a fascinating time to be in Japan now. Because business culture is changing faster now than it has in decades. Tim: So, the Spot Consulting idea. Where you are answering a very specific side of questions for a client. Tim: Now, in Japan so much of business is built up on long-term relationships. Tim: So, do your clients say well wait, we want to keep working with this one person for the next couple of years. Eiko: Yeah, sometimes our clients are actually looking for some other way they can work longer periods. Eiko: Like a contract base. But, even for them they want to meet more people. They want to find the right person, right kind of person for them. So, for them they want to meet several candidates. Eiko: Maybe not for free. Eiko: Who can give them real. Tim: Sure. Do some real work on some of the projects for them. Eiko: Yes, that’s why the spot consulting is the very right way to try it. Tim: Yeah. I can see why Spot Consulting would be much better at solving the actual problem. Tim: Having a lot of different ideas, approach a problem. Tim: But, it is also kind of against traditional Japanese business style of like okay here are the team. Let’s just stick with it. Eiko: Mm-hmm. Because it is very difficult for one person to answer all kinds of questions. Right. Eiko: And, now the Japanese companies is trying big number of ideas, new business ideas. Possibly they are going to make bigger money. Tim: Yeah, right. Right. Well listen, let me ask you on a personal level. Tim: Okay. So, you were on a very fast career track in the financial industry. Tim: You went to MIT. Tim: You worked at Goldman Sachs, Unison Capital for a few years. Tim: What made you change and want to get into this crazy start-up world? Eiko: . Okay. Okay, after I graduated from University of Tokyo I worked for Goldman Sachs. But, before that I got married, and after 1 year I got pregnant. First time I thought oh it is impossible to keep working at Goldman Sachs because the work service is so…. Tim: It’s pretty hard, yeah. Eiko: It’s pretty hard. It is very crazy. Tim: It’s a demanding job. Eiko: Yeah. At the time, I had only one year work experience. Eiko: So, I had to say okay I’m sorry I cannot work as hard as a Junior Analyst. Eiko: Then I chose different company. I can work until 10 p.m. And, after 10 p.m. is normal working hour. You know, I don’t have to do. I am sorry. Eiko: And, then I got US CPA, Certified Public Accountant. Then I changed my career to L’Oreal Cosmetic Company. Eiko: And, working hour is here manageable. Tim: Ending at 10 p.m.
Tim: That’s still pretty tough. Eiko: That’s pretty tough, but I didn’t have to say I’m sorry. Eiko: Even with my personal baby. And, at that time okay. I want to work, have to make effort to be strong. Eiko: To make people want to work with me. I need something. Appealing point with my accounting skills. I was very happy. Then my husband wanted to go to the U.S. JV program. Eiko: Get into the JV program. That was a 3-year program. So, I said okay. Because of my baby I went to the U.S. with him. And, then because It was a 3-year program because his school was in Boston. So, I decided to go to MIT. Tim: That’s making very good use of your time there isn’t it? Eiko: Yeah. It was very tough for me to prepare for the entrance, you know the essay. Tim: I can imagine, especially in a foreign language. Eiko: Yes, because of the language things. Yes. And, because of the cultural difference. Because at that time I was not use to how to make my career attractive to the admission office. Eiko: It was very tough for me. Eiko: Because at that time I had only 1-year experience at Goldman Sachs, and 1 and half year experience at L’Oreal. It was very short. I didn’t make too big, big enough project. I didn’t do that. Tim: But, nothing really outstanding. Tim: Lots of people with similar histories. Eiko: Then I met a girl who studied at MIT Sloane American girl. Eiko: And, she advised my essay. And, she said to me okay, cool you don’t have to worry about it. Your GMAT score is good, and your essay you need a little bit more twist. Make it more you know outstanding. And, I said okay, but I didn’t have outstanding history. Tim: Such an outstanding history. Eiko: And, then she told me, okay Eiko. Think about it. You are a young Japanese working mother. She gave me four keywords, Young Japanese Working Mother. If you put them together you are the number one in that area. And, I said okay that put me to it because I am Japanese. Eiko: I am woman, and especially for in MIT Sloane. Tim: There is not as many. Eiko: Not that many. And, especially mom. Tim: Well, differentiation is very important. Eiko: Yes, differentiation is very important. And, there is only one keyword differentiation is not enough. But, these four keywords differentiation going to be you know. Tim: Obviously, you got in. Tim: But, you went back to finance again. Eiko: Then, at the time actually I was interested in start-up a company. But, during the business school you know I got divorced. So. Eiko: So, I had to think about my my daughter and me too. Eiko: At the time I thought I didn’t have good work experience. So, I decided to go back to finance work to make money. Eiko: And, to get that good work experience. So, I decided to join Unison Capital, One of the biggest Japanese private equity funds. And, then private equity business is mixed with the business and finance. Eiko: Because we have to increase the value of the company. And, of course we do M&A. So, I think okay this is going to be my perfect job. Eiko: And, I spend 5 years there in Japan. Interest rate is pretty low. Eiko: The big company with some potential anyway, they can get money from bank. Eiko: But, they don’t have good access to information or people they need. Tim: So, was this the beginning of your idea for the Spot Consulting? Tim: That certainly makes sense where it is coming together. Tim: But, there is a difference between having a great business idea. Tim: And, actually deciding to do it. Tim: So, there is lots of great ideas out there. Tim: So, what was it that made you decide that okay I am going to leave the safety of this career. Tim: And, start a company as a young single mom? Eiko: Because I didn’t feel the challenge was risky because I had a good track record of 5 years experience at Unison Capital. So, at the time I saw. Anyway, I can come back to this world. Tim: So, you had a back-up plan. Eiko: Yes. It is very important I think to have back plan, it is very important I think. Eiko: Even so, they challenges on the upside right. Eiko: So, okay I like this idea I was so scared of this upside potential. And, then I didn’t feel any uncontrollable risk. I didn’t feel that. So. Eiko: So, okay. Why not. Tim: Was your family, and were your friends supportive of the idea? Eiko: My Dad said, “Okay Eiko, the importance of the business is to collect the cash”. That’s the only word to give you. Tim: Okay, that’s a good place to start. Eiko: That’s only the best things. And, Mom said. “Okay, you can do whatever you want.” That’s it. And, then my friends. My friends, the web service is very far from the financial, the traditional industry. Eiko: So, they give me their own advice. Okay. I know some guy who work for. Try to find some person, some friends who work for. Tim: To try to help you out to find staff. Tim: Well, it’s great that you have supportive family and friends. 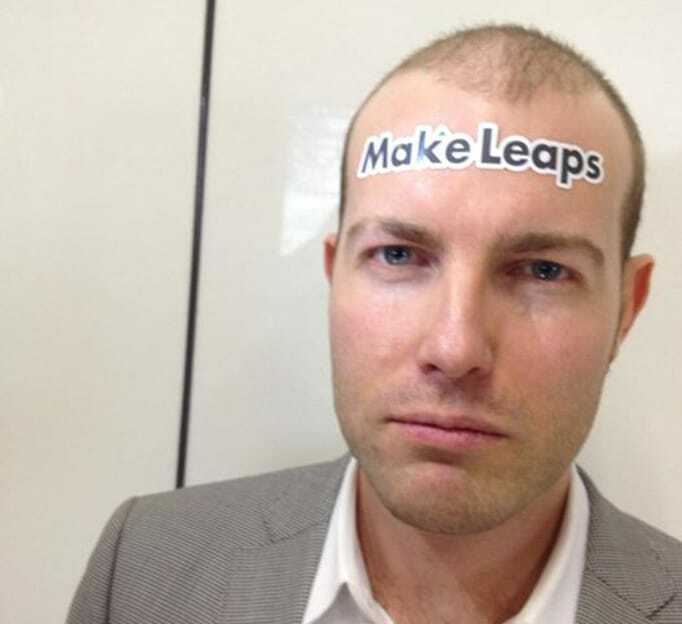 A lot of entrepreneurs in Japan don’t have that advantage. Eiko: Maybe they already know. I don’t know. Tim: That you are going to do what you want to do. .
Tim: Like no matter what they say you are going to do what you want to do. . No matter what they say you going to do. Eiko: Because anyway I already wanted to do this. Because I feel it is very big potential to put people together for the new project. As I said, I don’t feel any risk at all. Tim: Just jumping in. I mean it is fantastic. Did you have any sort of role models or people you looked up to that kind of helped you make that change? Or, who inspired you to make that change? Eiko: I’m not sure, but I like the speech of Steve Jobs he said about connecting the dots. Tim: The connecting the dots speech. Yeah. Eiko: Yeah, I really love it. I really love it. Very few, that’s right. Tim: Well, let’s talk a little bit more about that shift. Tim: So, from working in a large private equity firm to running your own show. Tim: What was the biggest thing you had to change about yourself to become a good CEO? Eiko: The team I think. Team. Eiko: At the private equity fund they are only similar people in the team, right. Eiko: They are professionals. They are very hard-worker naturally. They are very aggressive for their careers. And they are very similar. They have similar backgrounds, similar educations. In setting up my own company material is very . The engineers, they are engineers. Tim: Yeah. And, that’s true working at the large company of a lot of your team is loyal to the company. Eiko: Yes, that’s true. That’s true. Tim: But, as a CEO it’s just you. Eiko: That’s true. And, then just me and then just vision of the company. Eiko: If you work for a bigger company, anyway stable cash. Eiko: Is very important things. And, then the name of the company is very important thing. Especially in Japan I think. Eiko: But, for the small set-up company I think the vision is a very important thing. What they are doing on my team is doing is supporting these visions. Tim: Mm-hmm. How did you fix it? How did you learn to build a team? Eiko: I have fight with my engineers. .
Eiko: Almost everyday we are talking about that. But, anyway there are more things. We have to understand each other. That different way of thinking. But, still after so many fights we did we realized okay. Anyway, we have really believe in this vision. Eiko: So, we can work together. Eiko: So, naturally we understand vision is very important. Tim: Well, I would say that engineers fighting with nontechnical management is a great tradition in start-ups. . It never stops. It doesn’t, you know. Eiko: . I read so many books about that. And, that’s real. Tim: Yeah. It’s just yeah that never stops. .
Eiko: And, especially if they think I don’t have technical background in that school. Eiko: So, I rarely speak to them. And, I try to show my respect to them. But, still yeah. I think vision connects us. Tim: Yeah, that makes sense. So, if they believe in the vision there is kind of a mutual trust. Tim: On both sides, and you can move forward that way. Tim: What is most enjoyable day-to-day? Everyone likes to talk about how difficult running a start-up is. But, what do you enjoy most day-to-day about it? Eiko: Study, research. I like those kind of. And, my company I’m talking about my company and my project. I like talking about it. Because this is new. Because people sometimes choose their passion. Tim: So, the human interaction. Eiko: Yeah, the human interaction because our product is social wise. Future, I think it is very important to let people express their career strengths. Eiko: So, I want to change this Japanese society to that direction. Tim: The thing you enjoy is the passion and people sharing your vision. Tim: And, talking about your vision. Eiko: Yes, yes it is. Tim: That’s true. You don’t get to do that much in private equity. Eiko: That’s right. You are in the financial institution. The calculations. We have to be perfect. Tim: Yeah. You get penalized very heavily for small mistakes in finance. Yes. Eiko: Yes. Instead of making mistakes everything is new. Tim: You have to make mistakes. Eiko: Yeah. We have to make mistakes. And, we have to try, and try new important things. I like this. Tim: It is a much healthier, more fun way to work isn’t it? Eiko: Yeah, I really think so. Tim: I think so too. Let me ask you some kind of big questions about Japan. Tim: I am not going to ask you what’s it like to be a female entrepreneur question. Tim: But, entrepreneurship does seem to offer a unique appeal to Japanese women. So, I have noticed for example, I do a lot of coaching at start-up weekend. Tim: And, between about one-fourth to one-third of the students there are women. Tim: It is very encouraging. There is obviously something encouraging about it. Do you feel that there are more opportunities for women in start-ups either as a founder or as an employee than there are in traditional Japanese or foreign companies here in Japan? Eiko: Sometimes it is very you know beneficial to be women. Eiko: I would say because the number of the women entrepreneur below or the peer numbers is very low. It is unique to be female. Tim: So, you are unique and news worthy. Eiko: Yes, a differentiation. Right. But, to get money from VC’s. I got the same question from several VC’s. Okay, Eiko you are a woman what is going to be your personal goal for next 5 years? I didn’t answer the question very well. Tim: What were they asking exactly? Eiko: Exactly. They wanted to ask me, or they wanted to say to me okay I don’t have plan to get married. I don’t have plan to have a baby. Tim: . That’s what they were after? Oh man. Eiko: Yeah. That kind of question, it really got not only one VC’s, several VC’s. Because there are not so many good role models of the female entrepreneurs to make a big success. Eiko: Only maybe only Namba-san. Eiko: But, that kind of things. To be a woman can be tough. And, then especially instead of startup founder’s community. Most of them are around guys yeah. Eiko: That kind of thing. Tim: I have got to say this is exactly the same issues that my friends who are women founders in San Francisco are dealing with. Eiko: Oh really, in San Francisco. Tim: Much the same thing. Tim: Well, I have never heard anyone that has said they have asked if they were planning on getting married or having a baby. But, I am sure they were thinking it. But, okay after you said like no I am not planning on having another husband, or another baby in the next 5 years, were they willing to invest, or were they still sort of nervous about investing in a female founder? Eiko: No, I already got financed from two VC’s. Eiko: They didn’t care about that. Eiko: So, it is okay. Some VC’s did care, and some didn’t. Tim: And, the ones that did care about you just walked away from. Tim: Well good for you. That’s excellent. Well, in large Japanese companies or in Japanese government in particular a lot of staff have trouble reporting to women bosses. Tim: Do you find that attitude is changing in the start-up world? Tim: And, the engineers don’t count. They argue with everyone. Tim: So, that has nothing to do with male or female. Eiko: Yeah. Instead of, there are so many women who do good work higher positions than male colleagues. Eiko: There are so many companies like that. So, I think it is changing from new companies. Not only in web service. Not only in IT or start-ups. But, new companies they are changing the culture I think. I remember when I believe my friend who works for iBank he said to me he didn’t like to report to women you know boss. Tim: Yeah. It is a common complaint to hear in drunk salarymen in Izakaya all over Japan. Eiko: I don’t say that’s unfair. Maybe that sometimes that’s true. Men boss are not as fair as a women. Eiko: It could be possible. Because we women don’t have good advisers to become good boss is not the natural thing. We have to make an effort to be a good boss. But, because as a woman maybe we have less good advice or less reference there. Tim: You have to figure things out for yourself more. Tim: One interesting thing is this study was a few years ago. It surveyed both male and female employees. And, female employees disliked having a female boss more than male employees did in Japan. Eiko: . That could be possible I think. Tim: And, maybe for that reason. Maybe there aren’t enough role models, so women have to try harder, and maybe they are even tougher on women subordinates than they would be on male subordinates. Tim: But, if the start-up world is changing now. That can only be a good thing. Eiko: That’s true. That’s true. I think the start-up world changed the way to work, changed the culture things. Eiko: And, I feel the change, talking with my friends who work for start-up companies. They try to appear what they are doing very new way. Eiko: To make their company more in a happy place to work. Tim: So, innovation not just in the technology, but in the whole way of doing business. Tim: Well, that’s what Japan really needs right now. Tim: What do you think is the biggest challenge facing new entrepreneurs today? People who have just started a company. Eiko: The opportunity for the exits. I think it is different maybe in Japan. Like, we have to make our company to the appeal sites. Tim: Yeah, I mean the activity is much lower here than it is in the states. Eiko: Yeah. I think it is the exits. And, then also still the culture wise. Oh, why are you starting up a new company? Why do you want to take that kind of risk? Those kind of things. Yes, they are there. When I started my own company. My friends were really worried about me. Oh you are a single mother, you still want to do this. . And, then they tried to help me. And, my U.S. friends they just said oh congratulations. Tim: Right. It was a very natural thing. Eiko: It was a very natural thing. But, you have to show off. You have to make yourself. Or you have to look happy. Tim: So, you feel like you have to –. Tim: Always be strong, as they say in America always be crushing it. Tim: Always be doing fantastic. Eiko: Yeah. That kind of pressure I feel. And, then especially for younger generations because they don’t have so much things before setting up the company. Tim: I have got to say that is one of the most difficult things about being a founder. There is no one you can complain to. You can’t complain to your staff. You can’t complain to your investors. You are the one that just has to say this is a vision. Things are going great. Tim: Even if they are not going great, you are going to say this is how we are going to get through it. Tim: And, it is all like on you. Eiko: That could be true. But, we are trying to do that. Eiko: Maybe that’s a good thing to being a woman. I think it is easier as a woman, I can say to may team help me. Tim: Interesting. I could see that. Yeah. Eiko: Help me, I need your support. I need to discuss with you. I need your ideas. Those kind of things. Tim: But, I have always believed very little is inherently good or bad. Advantage or disadvantage. Usually, it is just different, and you can use something as an advantage, or as a disadvantage. And, I think that is a great example of although there are disadvantages of being a woman entrepreneur. There is also plenty of ways you can use it as an advantage. Eiko: Yeah. I always think that being different is an advantage for me. So. Eiko: As a woman and entrepreneur. Tim: Well, being different is always an advantage as a start-up. Eiko: Yeah, I think so. Eiko: I really believe that point. Tim: This has been really good. Do you have any closing thoughts? Do you have anything you want our listeners know about? Eiko: Not only the start-up things in Japan is changing I think. The whole culture, career or thinking toward the innovation change. Starting up in the company or like a career. Those kind of things have really, really quickly changing I think. Tim: I think so too. I think the next 5 years are going to be utterly amazing in Japan. Eiko: Yeah. Finally, we are changing I think. Eiko: And, then the starting of the company is only one kind of thing. But, still the changes especially from the start-up company. Tim: It’s driving the change. Eiko: Driving the change. And, there are so many you know events to meet big Japanese company with start-up companies. Eiko: To do a co-creation. I think finally our market to the foreign companies and foreigners will open up. Tim: I think that is a great optimistic note to end on. So, Eiko thanks so much for sitting down with me. And, we are back. I found Eiko’s approach to taking risks refreshing. When facing huge changes in either her professional life or her personal life she simply didn’t consider it risky because she knew the odds were in her favor, and that she would make it happen. It is a wonderful outlook that even long time entrepreneurs like myself need to be reminded of once in awhile. Eiko, also had an interesting take that being a woman, or even a single mom was not so much a disadvantage, as a differentiator. And, that is true of start-ups in general. Almost all of us initially enter the market from a position of weakness and we succeed by using our small size and flexibility, our perceived disadvantage as an actual advantage. Her point that you take not not only of your strengths, but also your weaknesses. This is great advice for any start-up. Whether you are foreigner in Japan, or a new entrepreneur sometimes your weakness is turned into your greatest strength. If you want to see the links and resources that Eiko and I talked about during the interview, or to get in touch go to DisruptingJapan.com/show016, and you will find all of that and more in the resources section of the post. And, if you have something to say about Spot Consulting, the importance and difficulty in asking for help, or about Japanese start-ups in general, drop by and leave a comment and let us know what you think. We would love to hear from you. But most of all, thanks for listening. And thanks for supporting the show, and letting people interested in Japanese start-ups know about us. 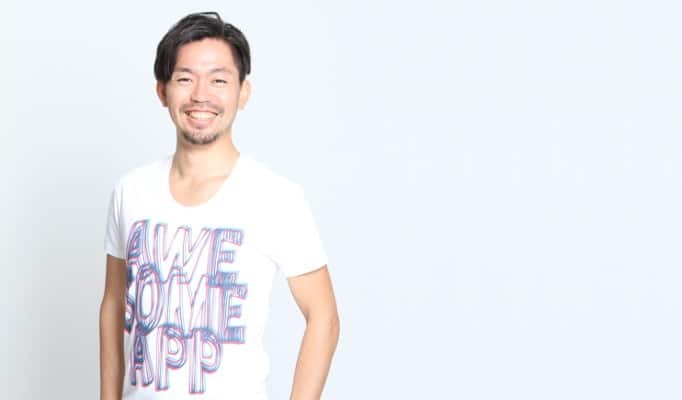 This is Tim Romero and thanks for listening to Disrupting Japan. Really enjoy listening to these podcasts. Glad that you are getting the information out. Thanks for listening. I love putting them together.